Nestled in the heart of Banff National Park, Lake Louise is home to 4,200 acres of skier and rider accessible terrain. Featured as the largest resort of the Big 3, spectacular views accompany Lake Louise's longest run at eight kilometers (five miles) and a total vertical rise of 991 meters (3250 feet). At Lake Louise, skiers and riders of all ages and abilities will find something that meets their needs. Beginners or intermediates will find an abundance of gentle slopes and long cruisers. 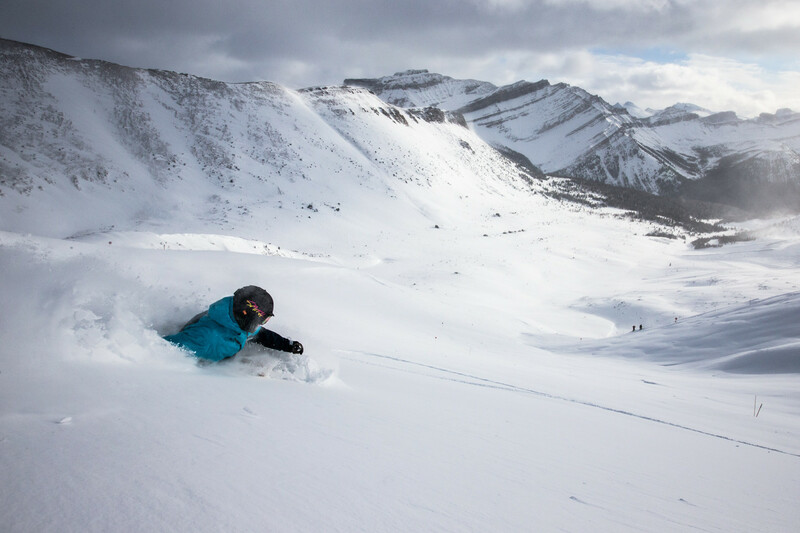 Experts can explore endless chutes, glades, gullies and remote bowls at Lake Louise. For the freestyle skiers and riders, the Showtime Terrain Park offers progressive lines for all levels and abilities with jumps, rails, boxes and even an air bag jump to practice tricks on. A Snow Cross course is available for skiers and riders to practice cambered turns, gap jumps, berms, drops with steep and flat sections as well. Lake Louise offers lodging packages for stay and ski at great rates. Skiers and riders can take advantage of free mountain tours to explore the extensive terrain or participate in a fresh tracks experience. Other fun activities include sightseeing, snow tubing, nordic skiing, snowshoeing, and Torchlight Dinner and Ski events.